At 0815 on Monday, October 12th, the dock lines are cast off at Port Annapolis Marina marking the official start of another season of sailing. 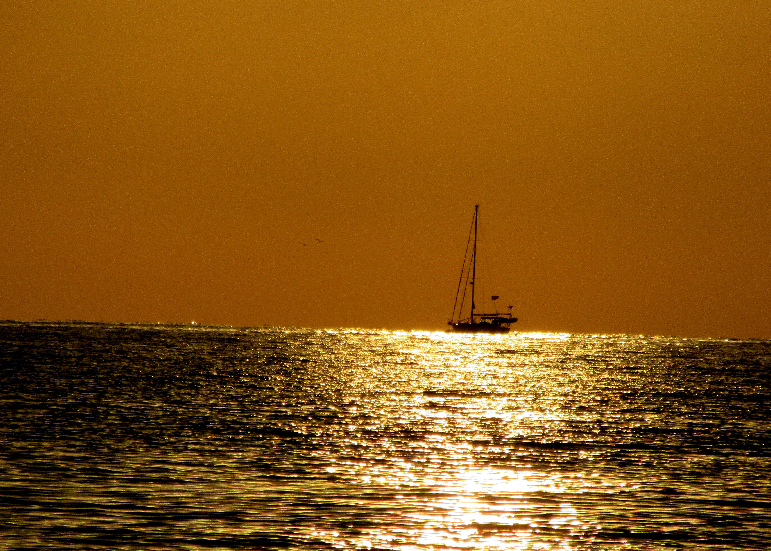 Today is Columbus Day…an appropriate date in history for the beginning of a new voyage. It is a gorgeous autumn day with sunny skies and chilly morning temperatures that yield to an afternoon high near 70 degrees. 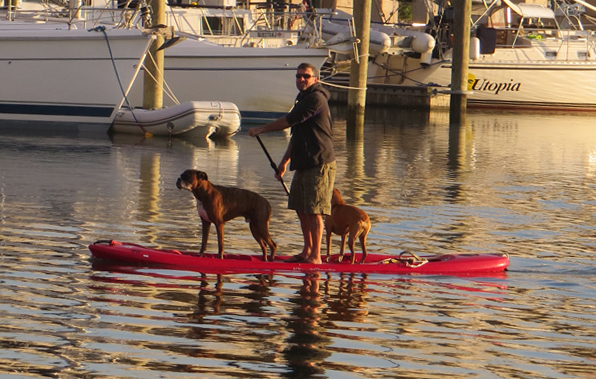 Any remorse relative to leaving the comforts of home dissipates within the first few minutes of being back on the water. Left on the dock at Port Annapolis Marina are unpleasant memories of all of the hard work and expense involved in preparing Cutter Loose for this journey. For the fifth consecutive autumn, we are headed south to a warm winter destination. This is our happy place. Light wind and favorable ebb greet us as we leave the Severn River astern and enter the Bay. 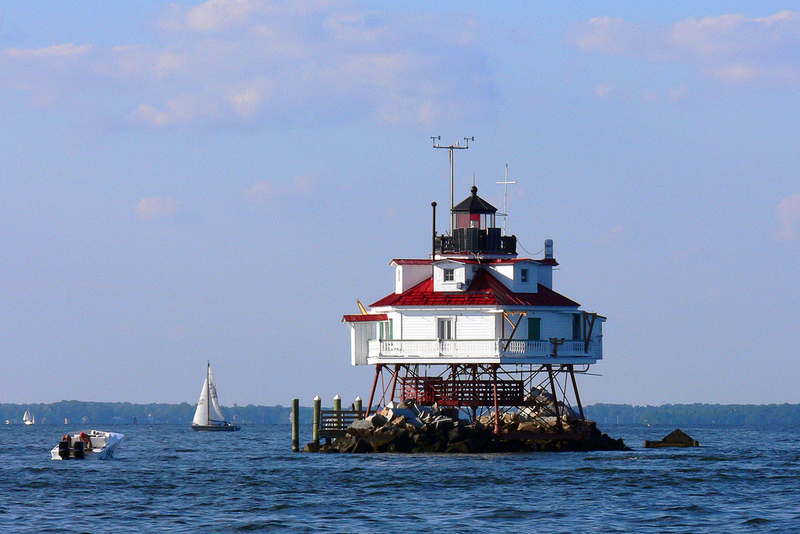 Familiar landmarks such as Thomas Point Light and the curiously leaning Sharps Island Light evoke fond memories of our early days of sailing on the Chesapeake Bay. 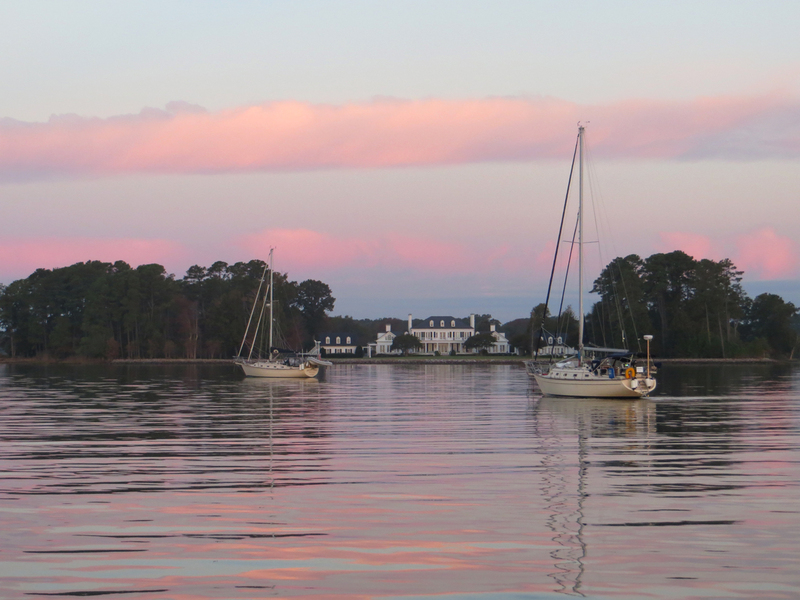 With its countless nooks and crannies, the Chesapeake Bay is a delightful sailing ground. Sadly, several of the unique islands of the Bay, such as Tangier and Smith, are losing their battle against higher water levels. Scientists are currently documenting every aspect of these islands since they will eventually be under water and therefore uninhabited. 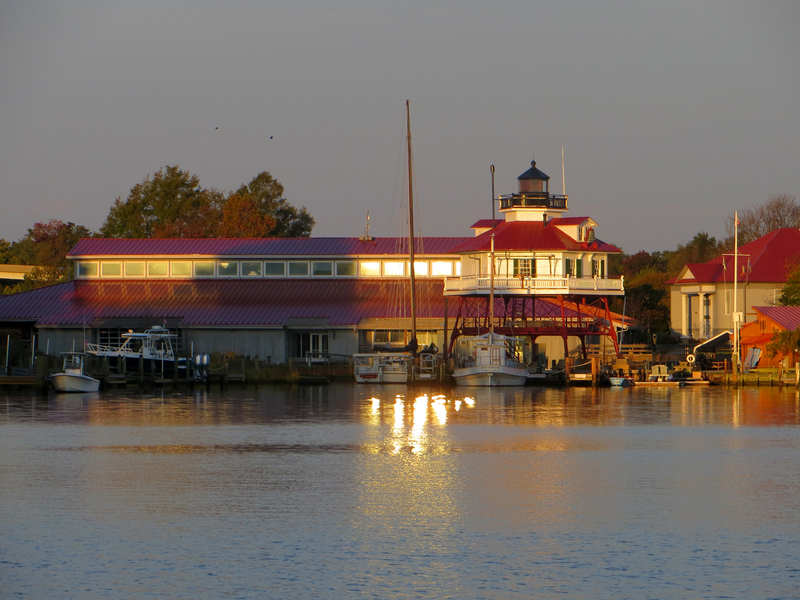 At Cove Point, our course takes us into the Patuxent River for an overnight anchorage at Solomons Island. At 4:45 PM, the anchor is down in Back Creek near the Calvert Museum with 45 miles logged for the day. Here we join fellow snowbirds and Island Packet friends Hayden and Radeen aboard Island Spirit and Reuben and Molli aboard Priority. On Tuesday morning, the wind is from the southeast at 15 to 20 knots, which affords a 60 degree wind angle towards Smith Point at the mouth of the Potomac River. The ride, however, is anything but smooth. Two foot waves add considerable bounce to today’s journey. 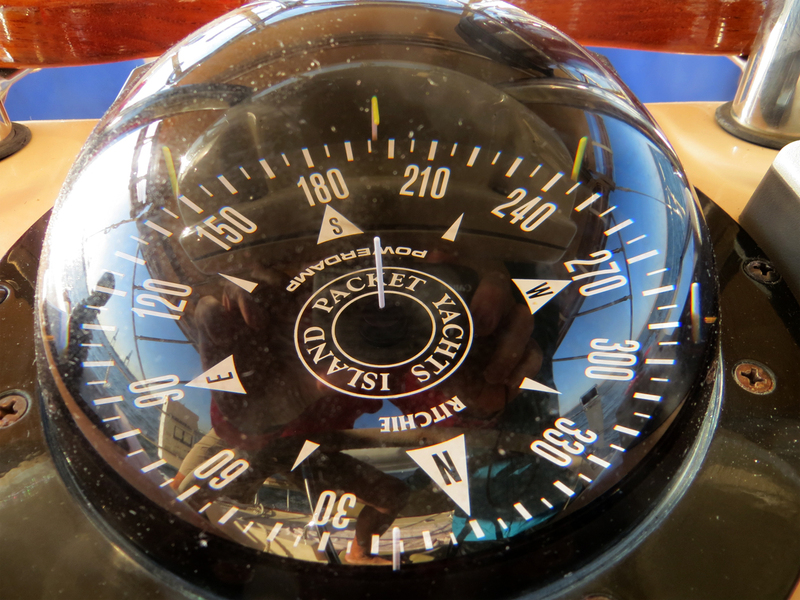 At noon, the wind subsides to less than 10 knots but the waves do not relent. 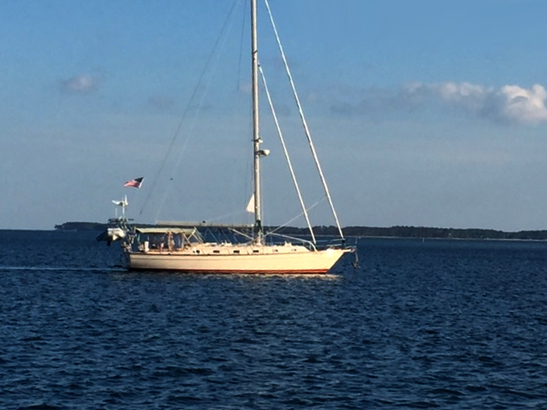 Beyond Smith Point, our course takes us directly into the wind towards Fleet Bay on the western shore of the Bay, just north of the Rappahannock River. After 50 lumpy miles, the hook is down in placid Dwyer Creek which provides good protection from southwest to northwest winds. 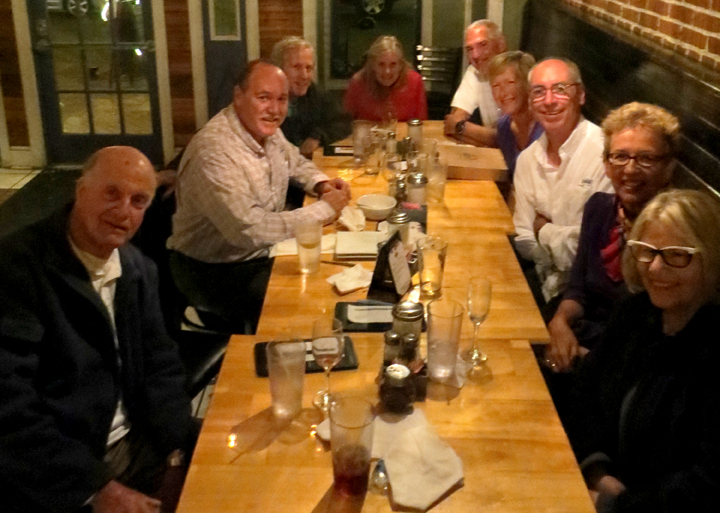 Here we enjoy a hearty meal and a restful night aboard Cutter Loose. At dawn on Wednesday, we are treated to a colorful sunrise on Dwyer Creek. Island Spirit and Priority are anchored nearby in this lovely spot. 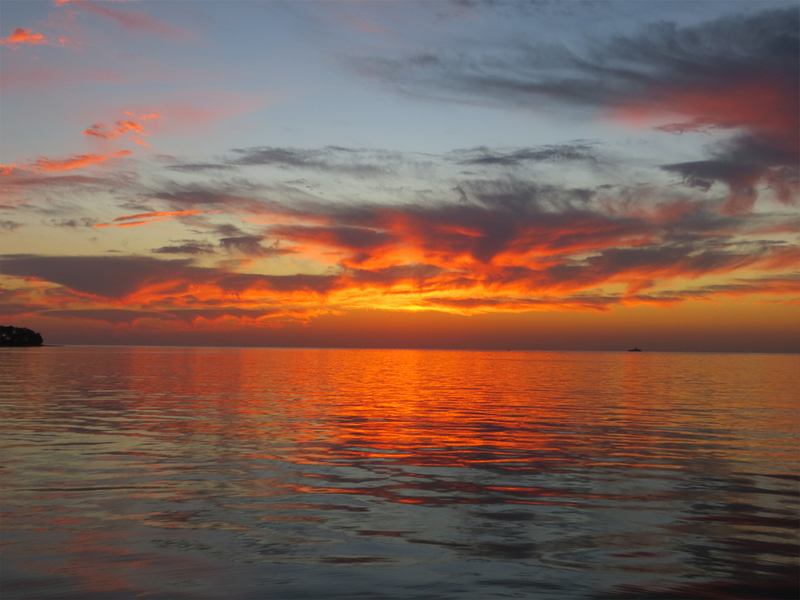 One of the advantages of cruising with friends is a constant supply of outstanding photographs of Cutter Loose. 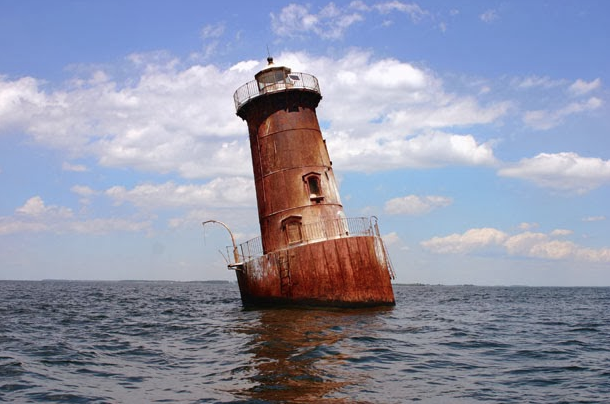 We are blessed with sun, comfortably warm temperatures and calm seas for today’s 50 mile romp to Hampton, VA. Our course takes us past Wolf Trap Light to Thimble Shoal Light and Fort Monroe, the busy entrance channel from the Atlantic Ocean to Hampton Roads. A dredged channel to the north leads to the Hampton City Pier, the staging area during Superstorm Sandy for our 2012 departure for Tortola, BVI on the Caribbean 1500 sailing rally. Bahamas to Charleston cruising friends Greg and Sharon aboard s/v Dream Catcher await our arrival at Hampton City Pier to assist with dock lines. Since our dockage is free due to a promotion by the City of Hampton, dinner tonight at Venture is a cause for celebration. Five Island Packets are represented at our table, including Island Spirit, Dream Catcher, Priority, Shawnee and Cutter Loose. 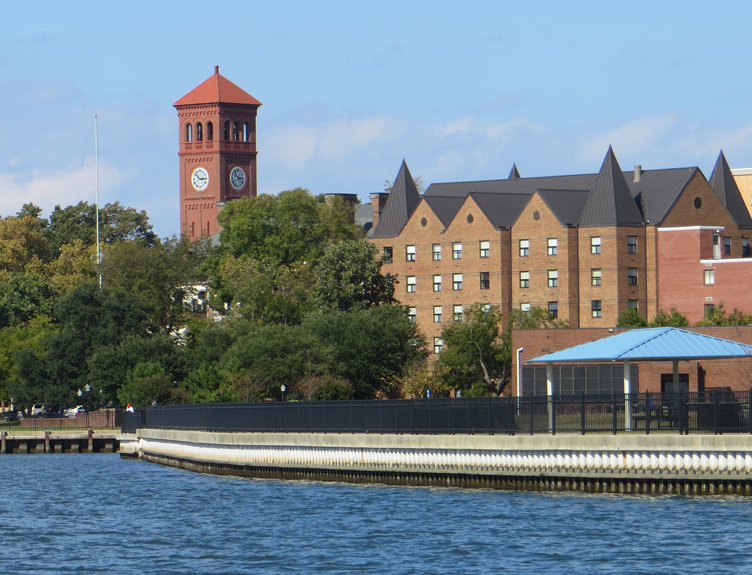 In the morning, we will depart Hampton bright and early for the beginning of our journey south on the Atlantic Intracoastal Waterway.